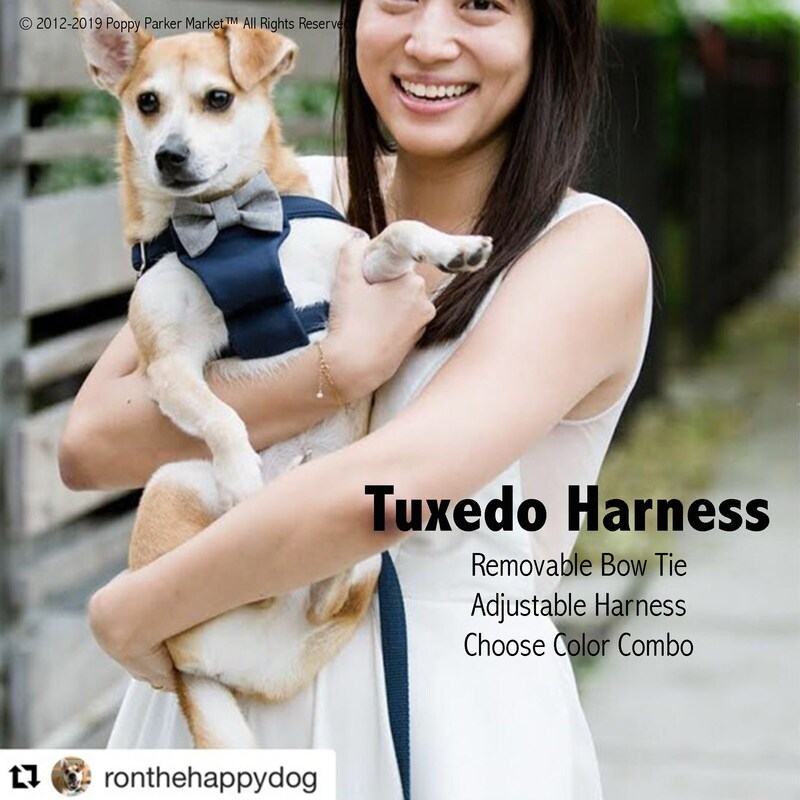 Adjustable step-in tuxedo dog harness with fully customizable options (choose the harness, chest fabric, bow tie color, and leash color). 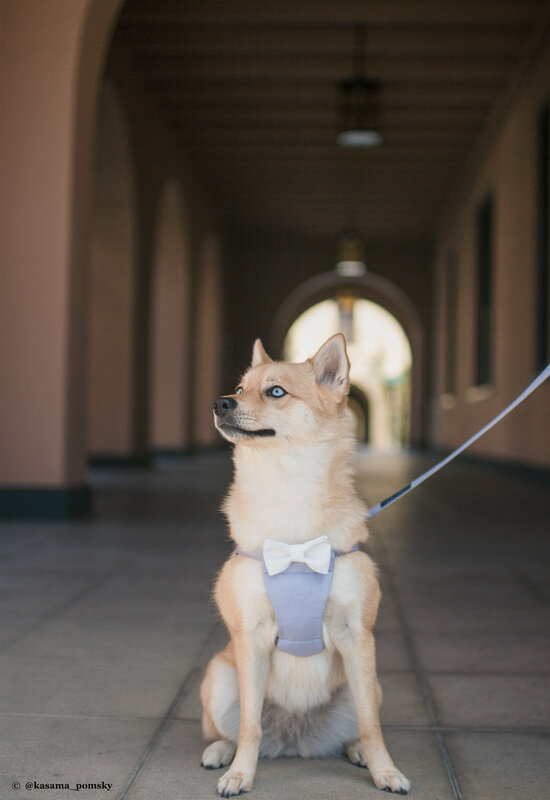 Note tuxedo harness does not convert to the standard harness – the fabric chest is not replaceable). 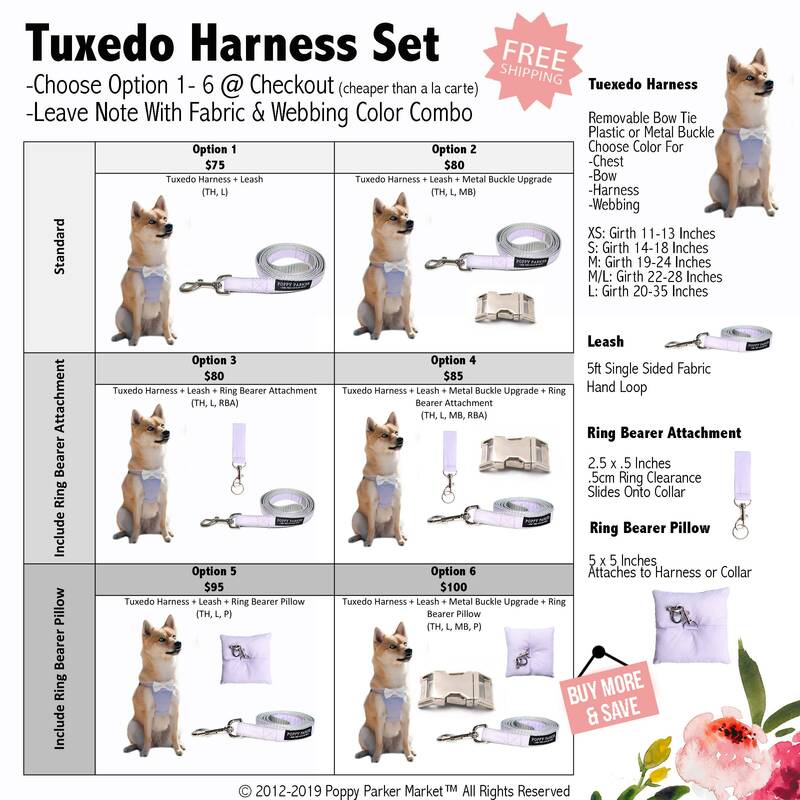 Depending on your combination selected this order may include a matching step-in tuxedo dog harness, 5ft single sided leash with snap hook and hand loop, metal buckle upgrade, ring bearer pillow, and/or ring bearer ring attachment. TUXEDO HARNESS: Leave note at checkout with details. 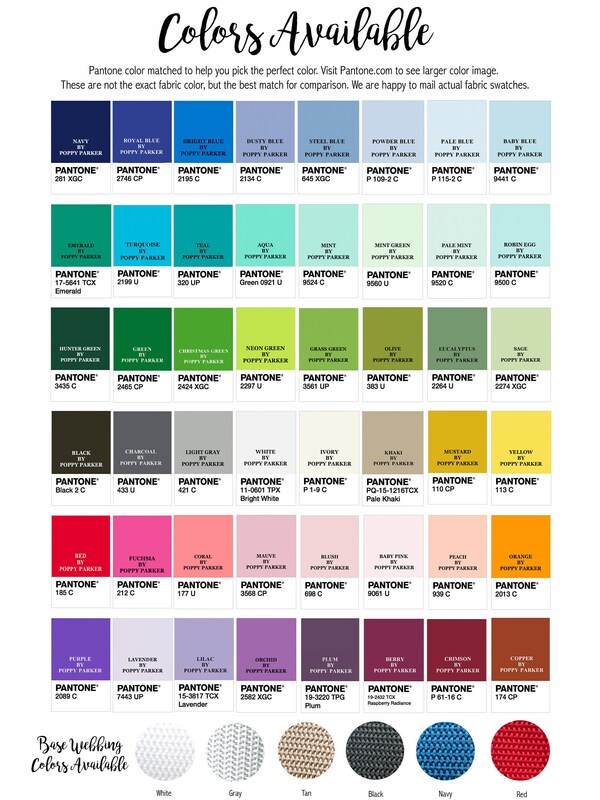 See color chart in listing images. 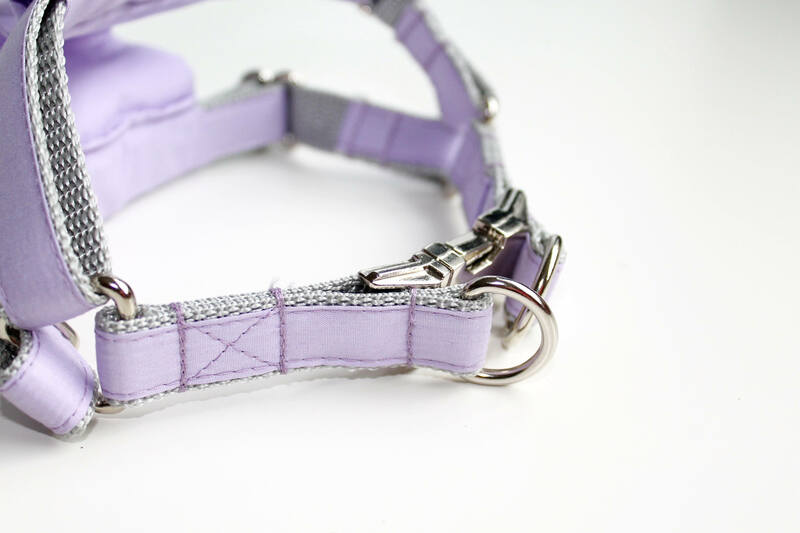 --STEP 2: CHOOSE HARNESS SIZE: (Girth Measurement) We recommend taking a quick measurement of your pet for the best fit. 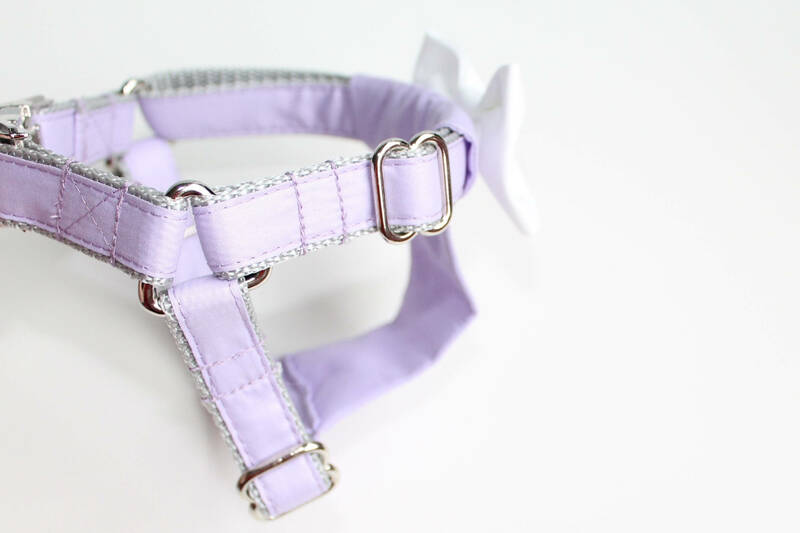 See harness sizing picture in listing images. We are fully customizable. 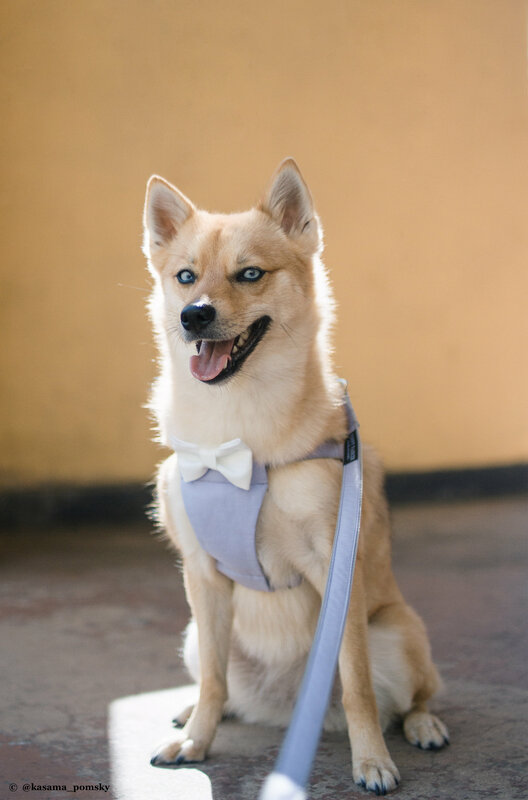 We want to provide you with a high quality pet product that will perfectly match your wedding or everyday needs. Additionally, we have carefully constructed this product to allow for occasional cleaning and touch up ironing. Fits well, great quality, our pug Cooper looks so dapper in it! Very pleased with the purchase.